Some nights, like this particular windy Saturday night, I’m not doing anything else than to focus on my computer and berry my self in ShopBop’s shoe section. 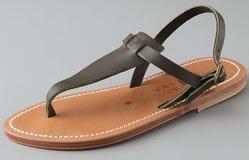 And on this particular windy Saturday night, as an attempt to prepare my mind on summer, I focused only on sandals. I’m not going to throw out pictures of every pair that I would like to buy, because that would be allot. But I’m going to show you these three, witch I’m seriously thinking about purchasing. Witch pair do you like the most? « I’m back you guys! 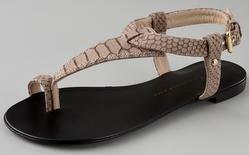 You are currently reading Sandals at CoutureStreet.